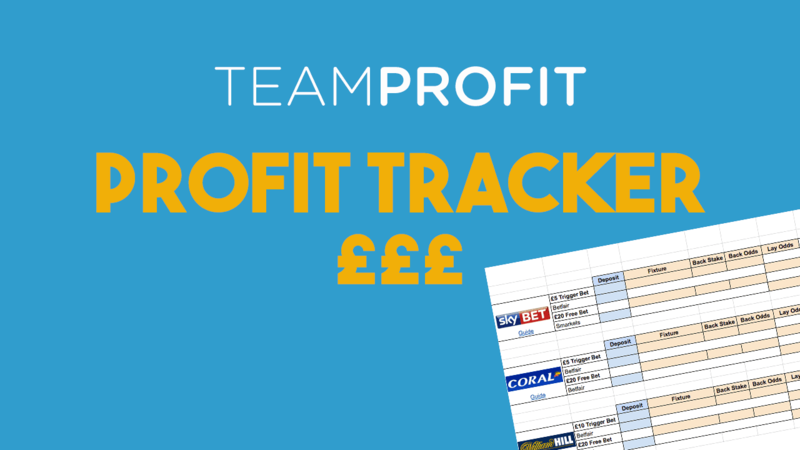 It is very useful to track your profit and your bookmaker balances - nothing beats seeing a profit figure rise up and up! But setting up your own spreadsheet can be time consuming and it may not have all the features you would like. Whilst the existing spreadsheets I have found via google have either been painfully complex or too basic. So, over the past few weeks I have built a matched betting spreadsheet that, in my opinion, is the very best out there! A big thanks to Luke and Chris for helping with this. To create your own version, click File > Make a copy > Okay. Click the green button above or click here to open the spreadsheet. Click on the icon on the top right which will then prompt you to use the Sheets app. Click Share & Export then Make a copy. Sign up to Team Profit for free to get access to the matched betting calculator that you will need to profit from every offer risk free! Watch the first 11 minutes of the 18 minute 'How It Works' video. The last 7 minutes covers the refunds offfer, multi bet offers, daily offers and monthly graph, that you can watch once you have completed the Bet £X Get £Y welcome offers. Tip: Watch the video in full screen by clicking the square icon on the bottom right of the video. I've Completed Offers - Can I Use This Spreadsheet? Yes! After you have watched the above video, there is a simple follow up Youtube video. It lasts 5 minutes and will show you how to add in your existing balances and use multiple exchanges. 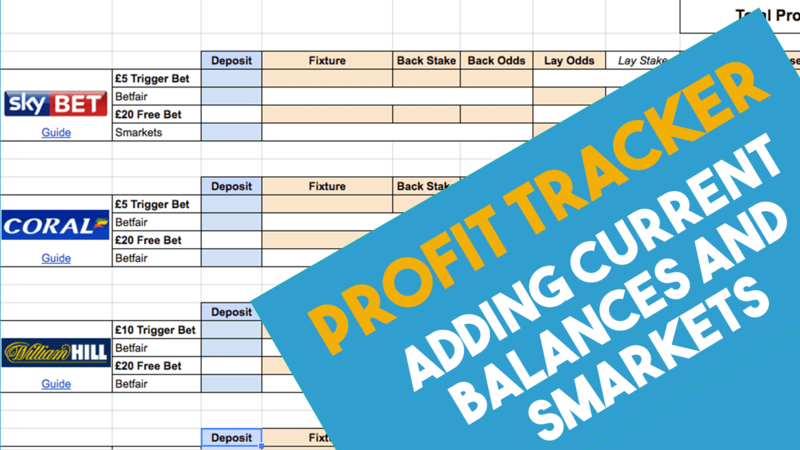 Access Your Matched Betting Spreadsheet Here!